(Buenos Aires) Hardly had he been elected, when the attempt was made to insinuate Pope Francis' involvement with the military dictatorship (1976-1982). 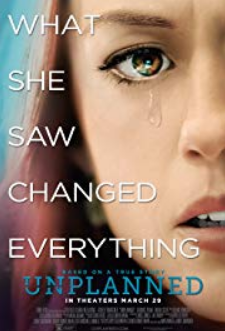 The intention was quite arrested by the categories of "politically correct” thinking, which many European media and public figures are incapable of thinking beyond. In the Left-Liberal spectrum of roles is clear from the outset and always that: the military dictatorship is rejected, because the enemy is always on the right. Far more generous if you look at the other side, where all sorts of leftist romped, armed terrorist groups, not only resisted against the military dictatorship, but not insignificantly as combatants for Marxism, partly with Soviet support, the reason for this was that it was against the military dictatorship. It seems at present, that even the ideologues and ideologies that do not deserve it, be "cleansed" in an infusion of the persecuted innocent persecuted by the generals, should have anything to do with the Catholic Church. Not everyone, be he Franciscan or Jesuit being pursued at that time in Argentina was a faithful son of Holy Church. Many had swapped the cross for a Kalashnikov. Jorge Mario Bergoglio had resisted them and has remained true to his priestly vocation. As the Good Shepherd, he fought for the imprisoned brethren, of which he was suspected for years, completely unjustly as being an informer. One reason why the election of this new pope caused the German Jesuits little enthusiasm. A suspicion, which incidentally has now been withdrawn by one of the then imprisoned Jesuits imprisoned by the Junta, Father Francis Jalics. Because of the military dictatorship Pope Francis has no need for explanation. 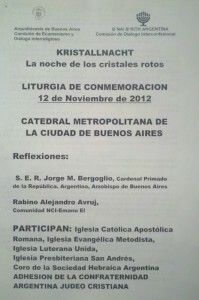 At least, however, a " commemoration of the [Reichs] Kristallnacht “ appears to require some explanation, which was organized with the Jewish organization B'nai B'rith on the 12th along with the Archdiocese of Buenos Aires on November of 2012 to "commemorate six million Jews murdered during the Holocaust." 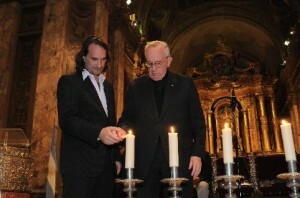 The commemoration of the Jewish Lodge, officially even called a "commemorative liturgy", took place in the Cathedral of Buenos Aires, as the then Cardinal Jorge Mario Bergoglio participated actively. B'nai B'rith does not belong to official Freemasonry, although there are some overlaps and human forms of cooperation. The "Sons of the Covenant” [Söhne des Bundes], the German translation of the name originated in 1843 at a time when Jews were often rejected in Masonic lodges, so they formed their own parallel lodges, which in contrast to Freemasonry, are not a secret society. The Independent Order of B'nai B'rith may therefore, with all the differences, referred to as a kind of Jewish form of Freemasonry with its own rites and identification. The individual branches are therefore called lodges. The lodges of a country are gathered in the District Grand Lodge. This Jewish order was founded to represent Jewish interests in political terms. It also wants to promote the ethics of the brothers, which is very similar to that of Freemasonry. In the USA, almost ten percent of all male Jews of the lodge, appropriate weight, a corresponding number in the associated lodges. Why did the Jewish Lodge organize a Jewish memorial for Jewish victims in Catholic churches? Inter-religious ritual compatible with Catholic understanding? The question is not why the Jews commemorate those events in Argentina. But the question is, why is the Catholic Church in Argentina which is not directly related to these events in faraway Europe 70 years ago apply, which - as explicitly emphasized B'nai B'rith - by no means all of the victims, but only the Jewish victims of National Socialism. Why then is this Jewish memorial to Jewish victims held in a Catholic church? 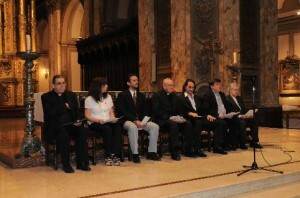 In any case, it has been moved to the Cathedral of Buenos Aires. It has been occupied by political groups in the last five years. 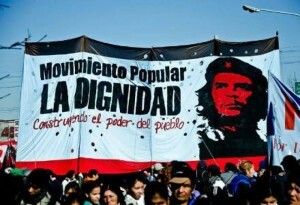 When the Archbishop of Buenos Aires, Cardinal Bergoglio was already in Rome and just begun in the conclave, 200 activists of the leftist Movimiento Popular La Dignidad (MPLD) occupied the Cathedral of Buenos Aires, as the Spanish church historian Francisco Fernandez de la Cigena reported. 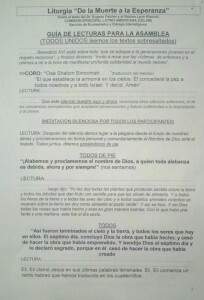 The Parish Priest had to cancel the celebration of Holy mass. In 2008 the cathedral had been abused for political purposes. 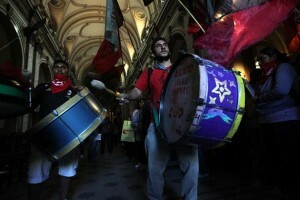 At that time, the cathedral church was occupied by the leftist Madres de Plaza de Mayo. In both cases, the protest was addressed against cuts in government funding for projects in which the respective occupying groups were associated with the church in no way. May I speak colloquially? The Jews just walk all over everyone. There I said it. The Holocaust Religion gives them SPECIAL Rights,SPECIAL Status. I will stop at this or this could get very long. I'll finish y saying, this is not opinion. This is fact. And the Catholic Church no longer speaks of the conversion of the Jews. The Jews have converted nearly the whole of the Western world to Their Cause and all that it requires. Personally I'm really tired of it. You're far from the only one tired of it, Anon. It is not only tiring, but it is disgusting. Schmenz, I see you around and always agree with your observations and comments. On this topic I very much enjoyed your comment concerning Lindsey Graham. As you put it, Lindsey Graham(R-Israel) whilst publicly attacking Chuck Hagel for among other honest statements, saying "I am a U.S. senator not an Israeli Senator. to clarify: That was Graham attacking Hagel. And the novusordo maniacs think this guy is a true pope. Terrible! The occupation of the Cathedral thing which he kind of dropped the ball on is similar to the occupation of Votivkirche in Vienna ongoing, to which ++Schoenborn has offered vague support and encouragement, rather than tear gas and truncheons which those people actually deserve. I see Mark Shea has banned you from his silly blog. Good for you! You're too good to be posting on that electronic litter box! The man seems like a whirlwind Tweedle Dumb on his way to Hell. Just a thought and a visual image. I'm sure there's more substance to it than the vain criticisms he offers on behalf of the scorned and vengeful Dawn Eden. You sedevacantist wackos are playing with fire! You and the neocons both think the pope is infallible all of the time. Get a grip! Haven't you read this article from the Catholic Gazette 1936? If not do so quickly. It was later exposed to be leaked secretive plotting against the subversion of the Roman Catholic Church by infiltration. It is quite genuine. Read it - I can't believe a Bishop would cow tow or befriend these people knowingly. It is baffling me - it's frankly incredible that he so brazenly is photographed with them as though they are his friends and confidants. What absolute garbage! Go and get a life. I'm Jewish! Rabbi Goldberg here. HAHAHAHAHA! You will NEVER defeat our evil plans to take over the world!!! Steve Dalton aka ladyboy Sue. Takes it up the @ss for 5pence a go.